This entry was posted in Science and tagged pennies. Bookmark the permalink. If we removed the penny from circulation and we were able to recover 70% of them then the government would have retrieved 1 billion dollars. Suppose that was distributed to the lowest 20% of earners as a tax rebate we would come out 560 million dollars ahead in the first year after the pennies were melted down for the metals. 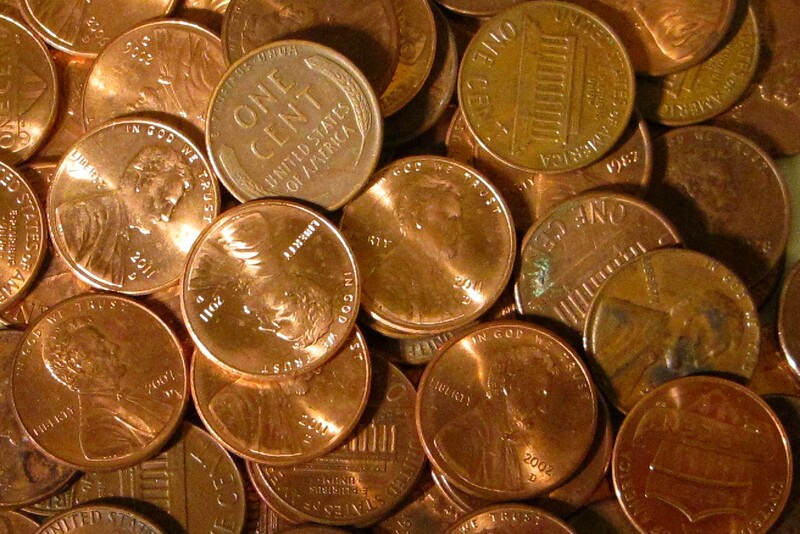 Over ten years, we would save an additional 2.5 billion dollars by not having minted more pennies! That’s 3 billion dollars in 10 years!!! It may do little to settle our deficit but less is more, right?